The most useful thing I brought out of my childhood was confidence in reading. Not long ago, I went on a weekend self-exploratory workshop, in the hope of getting a clue about how to live. One of the exercises we were given was to make a list of the ten most important events of our lives–the key moments that brought us from birth to wherever we are now. Number one was: “I was born,” and you could put whatever you liked after that. Without even thinking about it my hand wrote, at number two: “I learnt to read.” “I was born and I learnt to read” wouldn’t be a sequence that occurs to many people, I imagine. But I knew what I meant to say. Being born was something done to me, but my own life began–I began for myself–when I first made out the meaning of a sentence. Thanks to Mark Sampson at Free Range Reading for linking to the interview with Eleanor Wachtel that led me to buy the book and fall headlong into this woman’s life. In last weekend’s Globe & Mail, with which I only caught up today, there is a lovely snippet from Moore about her daughter reading aloud to her as they drive. I’ve been looking forward to the day that Griffin learns to drive (yes, he’s only 9, but I don’t drive, so an additional driver in the family will be a boon), but I like this idea much better. 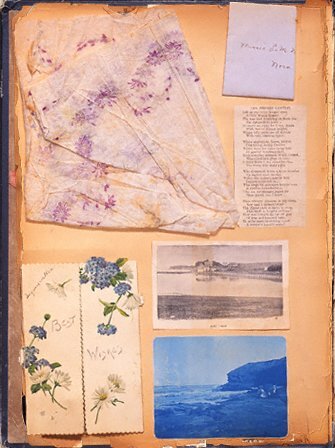 One of the fascinating discoveries I made reading Urquhart’s biography was that Lucy Maud Montgomery kept scrapbooks all her life, in addition to her journals. 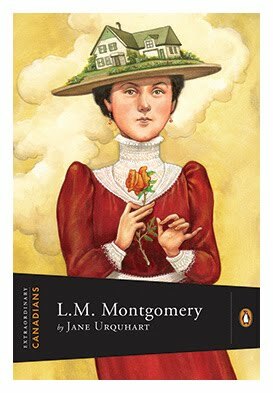 In the first chapter of her book, Urquhart the novelist prepares the ground for Urquhart the biographer by imagining Montgomery in her last moments, a third person narration focalized through Maud. One of the most touching passages from that chapter describes Montgomery’s thoughts about her many scrapbooks. I think it’s his poke at politicians that I like, though I also admire the appeal to empirical evidence. The “value” of art is such a tricky thing to pin down, and it’s not about measurable outcomes in any case, but go ahead and prove it with numbers when it’s that eloquent. Urquhart follows a theme of “the self divided” in this biography, and she draws neat distinctions between Montgomery’s many selves. In contrast to the sweetness and light of her books, there is the sorrow and madness in her life: the early death of her mother, her almost life-long separation from her father, the multiple rejections of her manuscript of Anne of Green Gables, her loveless marriage to Ewan Macdonald, a Presbyterian minister whose belief in predestination (and his own inevitable damnation) led to severe mental breakdowns, her never-ending battle with insomnia. Urquhart also examines Montgomery’s work as a photographer. She learned photography as a girl, had a darkroom in her grandmother’s house and took hundreds of snapshots (not formally or artfully composed photographs) of her houses and the landscapes around her. I love that reference to honesty, that reference to the sense that as powerful as the imaginative impulse is, it must somehow stay true to experience.